Welcome to the big league that is the MarkBass master-class, right here at the bass amplifier campus that is Mega Music. If you choose MarkBass amplifiers at you are in elite company; a player’s list that reads like a who’s who of music. 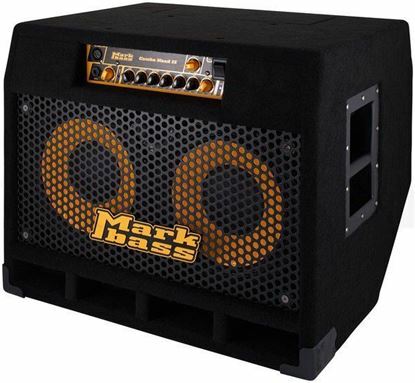 You’ve got to love a company like MarkBass who are dedicated to doing one thing very well – bass amplifiers. From heads and combos of every description they are noted for their pristine modern tones and the capacity to mix that up with the warm sound of classic tube. Definitely a brand to explore when defining and refining your bass tone: check out MarkBass amps at Mega Music. Not just a "GORGEOUS" bass sound, but the RIGHT sound. This high-power head is created for those who need simple, intuitive and effective controls but also like to have a large supply of power and serious headroom. This high-power head is the result of years of experience. The power of the Little Mark, with the added warmth of a tube preamp. 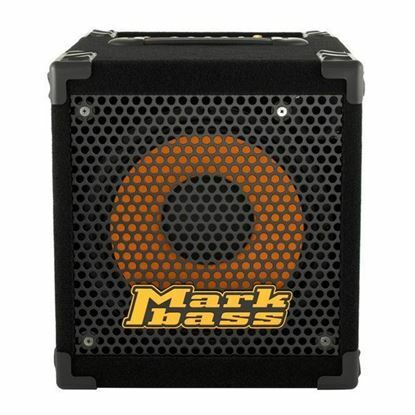 A rockin little bass guitar amp solution, combo from MarkBass. Great tone, power, and portability. Perfect standalone cab, or a great add on. The most popular Markbass cab.